Our groundbreaking study guide focusing on Ghost The Musical has been created in a manner that gives amazing insights into various aspects of the show, including its themes, numerous issues treated within the story and the creative process that went into developing the musical. There are features that no other Broadway study guide has ever before had. The study guide is interactive with over 400 links provided to outside sources, original video interviews and other information. The 170-plus video clips of the original New York cast, the creative team, producers and others, give unique insights into the production and its development. 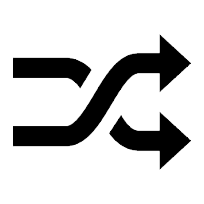 You may do all three levels focusing on a particular topic or choose to have the class work on one or two levels. Although a Level II project builds upon a Level I and a Level III builds upon a Level II, any project at any level may be done alone. The manner in which projects conform to and reflect Common Core State Standards for English Language Arts & Literacy in History/Social Studies, Science, and Technical Subjects is clearly delineated in each of the Teacher Instruction sheets included in the guide. This study guide offers sections on issues such as Loss, Grief, Belief and the Paranormal; Bullying and Communication and Relationships and on artistic areas that include the book, lyrics and music; performance style and orchestrations and arrangements. There’s also an entire section devoted to each character in the show. There are 21 projects focusing on various topics. Each project contains a description of the topic, project and process for students, worksheets and appropriate links to various materials and video interviews and teacher instructions that include Core Standards addressed in a particular project. The Ghost The Musical Interactive Study Guide fosters learning through communication, creativity and collaboration. There’s no single way to utilize it. 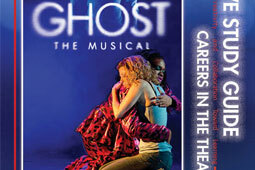 You may use it prior to seeing Ghost The Musical to introduce topics, after experiencing the production to investigate different areas in-depth or without ever seeing the show, studying the process and style through written materials and video clips and using audio selections from a CD of the show. In fact many of the exercises may be adapted to the study of other works, such as novels, films, plays or musicals. Be as creative as you would like with this free study guide. It is a great tool to be used in fostering learning.